As the largest all-sand island in the world, with a large population of wild dingo and some beautiful natural wonders, it’s pretty unsurprising that Fraser Island is on most people’s (both tourist and resident) Australia bucket list. 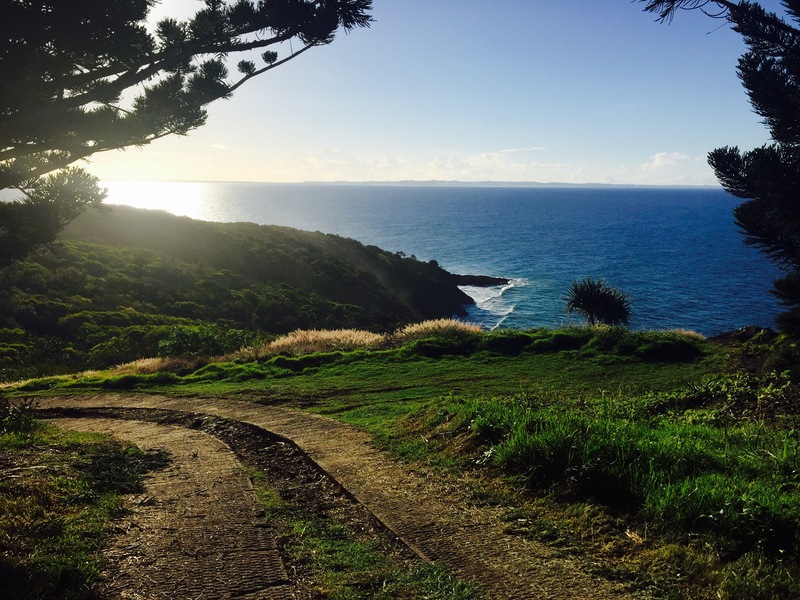 The three main mainland locations from which to hop over to this beauty are Noosa, Rainbow Beach and Hervey Bay and the tour we decided to take part in began in the first location. 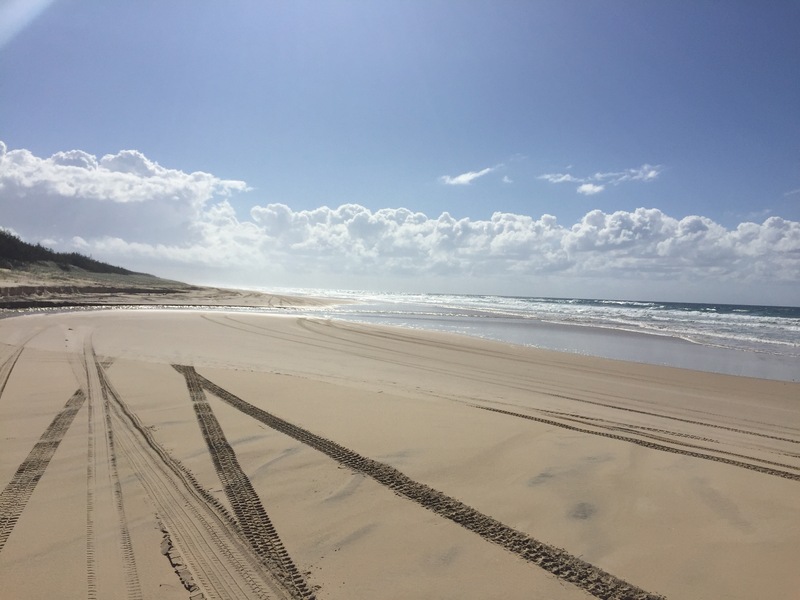 When many young adults visit Fraser Island, their main aim is to drive the famous beach highway in 4×4 convoy and there are so many tours (many run by hostels) to choose from that do this. 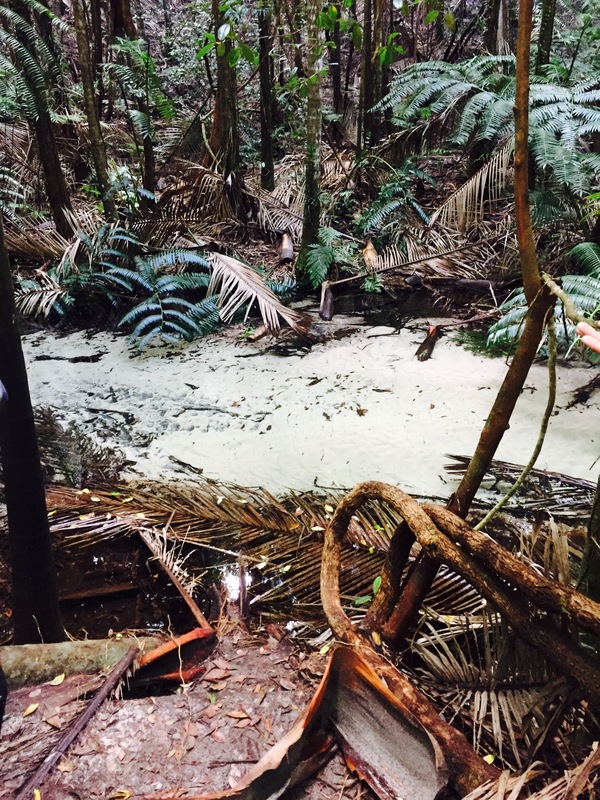 Fraser Island is also open to the public so hiring a 4×4 yourself is also an option to explore. However after discussing it in detail, myself and Matt realised that we weren’t really interested in driving ourselves so much (we’ve been doing that for weeks already!) and instead opted for a bit more luxury. We did a two day, one night tour run by The Discovery Group, who use ex-army trucks to show people the highlights of Fraser. Included in the price was all food and snacks, accommodation in a lovely hotel and an extremely knowledgable tour guide, Chops. We were picked up from Noosa at around 6.30am and headed straight to Tin Can Bay, a little place near Rainbow Beach. 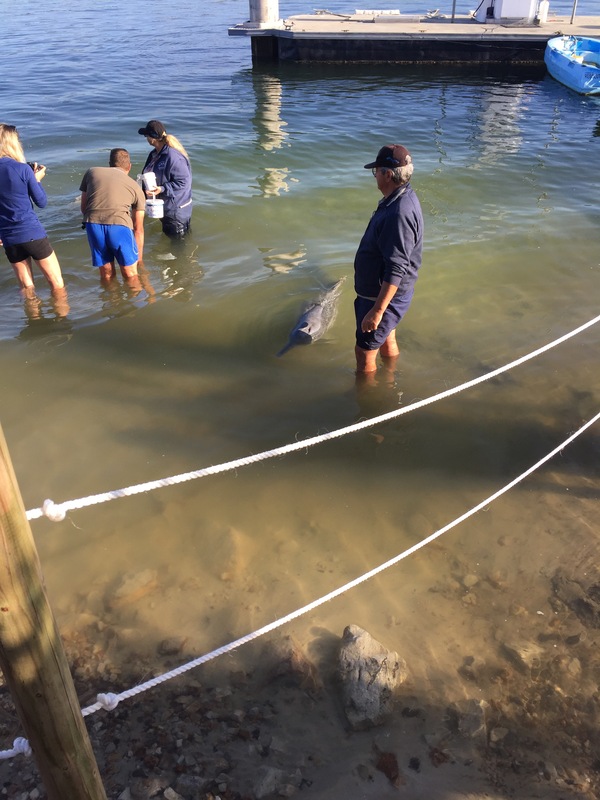 Here we got the early morning treat of feeding the wild dolphins that swim in the marina there! We weren’t allowed to touch them or physically interact with them, but just standing in the water while they played just metres from us was so cool. We spent around 45 minutes here before heading to Rainbow Beach, where we then took the ferry over to Fraser Island. The ferry only takes a mere ten minutes, however in that short time we were treated to the sight of more wild dolphins frolicking in the water! We departed onto the sand and headed down the main beach highway, where we stopped for morning tea and photos. Because Fraser Island is completely made up of sand, the roads are tricky at best. While the main beach highway runs down the length of the island, the quickest and sometimes only way to the main attractions are through the rainforest that covers the majority of the sand-mass. A number of sand track roads have therefore been formed through the fauna and flora, which makes for a very bumpy ride! After morning tea these tracks were exactly where we headed, coming out at ‘Central Station’ – the old centre for the Fraser timber industry. Now a picnic and meeting area, it’s hard to imagine this beautiful forest clearing was once the centre of tree felling on the island with a small village and school. Thankfully it has been restore back to its past glory and it was a lovely lunch spot! We then took a rainforest walk along Wanggoolba Creek, that runs right through Central Station. Before European settlement (the western world strikes again), this waterway was a sacred place for Butchulla women to give birth. We spent around 45 minutes here wandering through the trees, spotting rare giant fern and enjoying the sounds of nature. 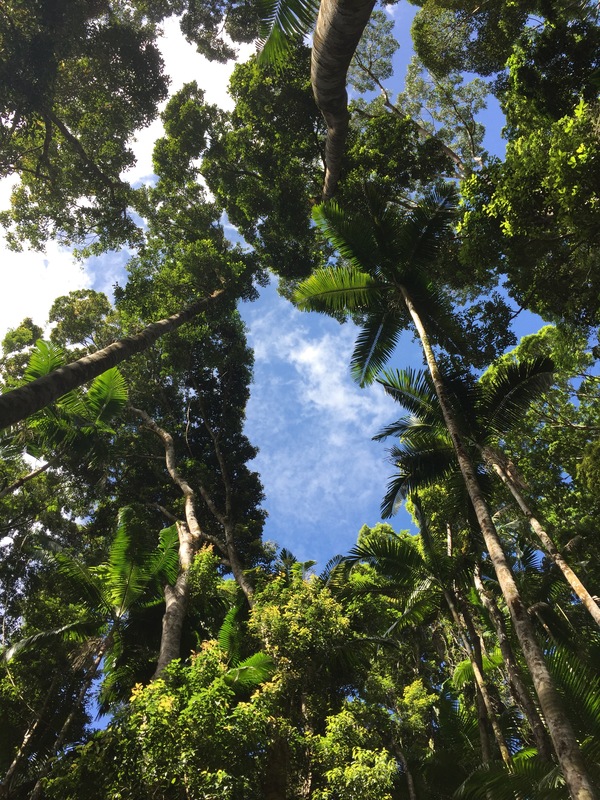 Did you know that at one point European settlers tried to confine Aboriginal tribes to Fraser Island, only to then realise that the island had so much potential for the wood industry due to the rare and highly useful species of tree within the rainforest, that they came and forcibly removed the tribes that had been banished there in the first place?! Although these actions are pretty unsurprising when you hear about how Aboriginal cultures were treated by European settlers (often hunted down like animals, made to jump to their deaths off of cliffs, denied land and food etc. The list is horrific), it once again begs the question of why we never talk about these events. 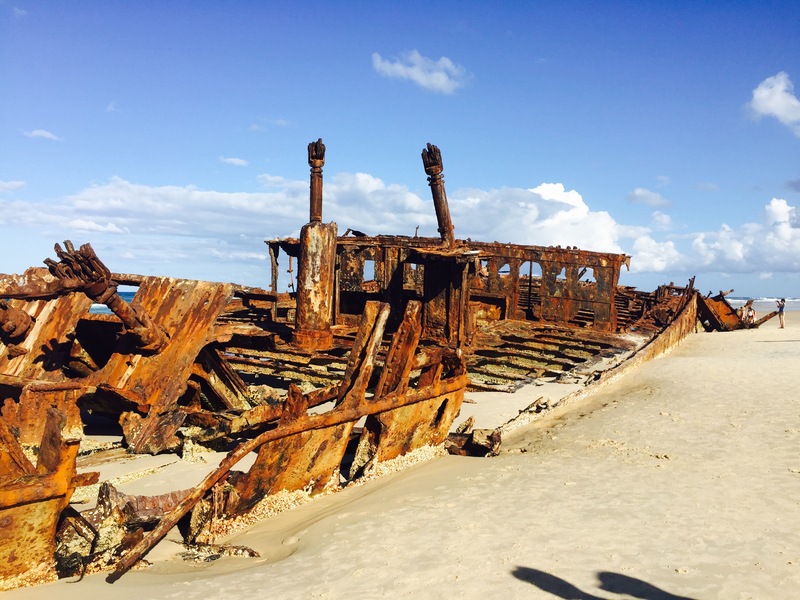 Once we had finished our walk, we headed back to the beach highway to explore the Maheno Shipwreck, an ocean liner turned WW1 military hospital that found itself lodged at Fraser Island after a cyclone sent it off course while it was being towed to Japan for scrap in 1935. 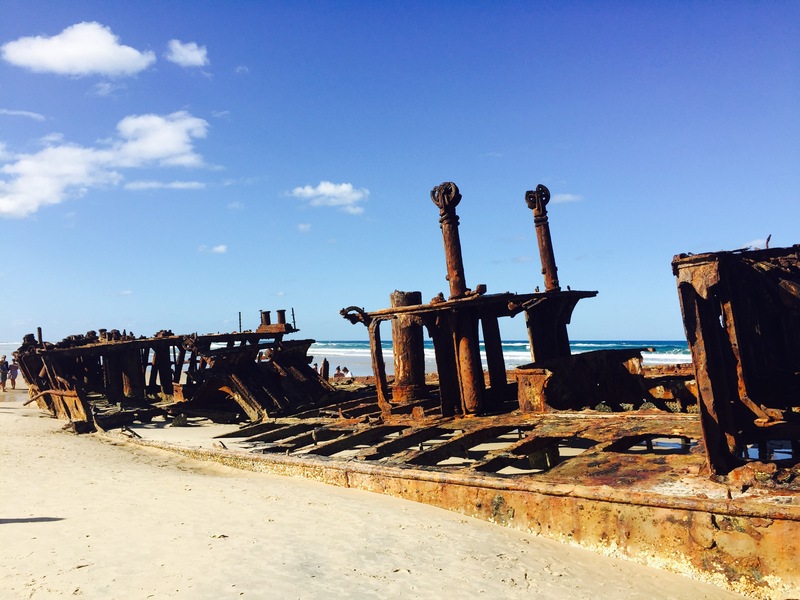 The wreck has now been on the shore of Fraser for over 80 years and although deteriorating, still makes for an impressive sight! 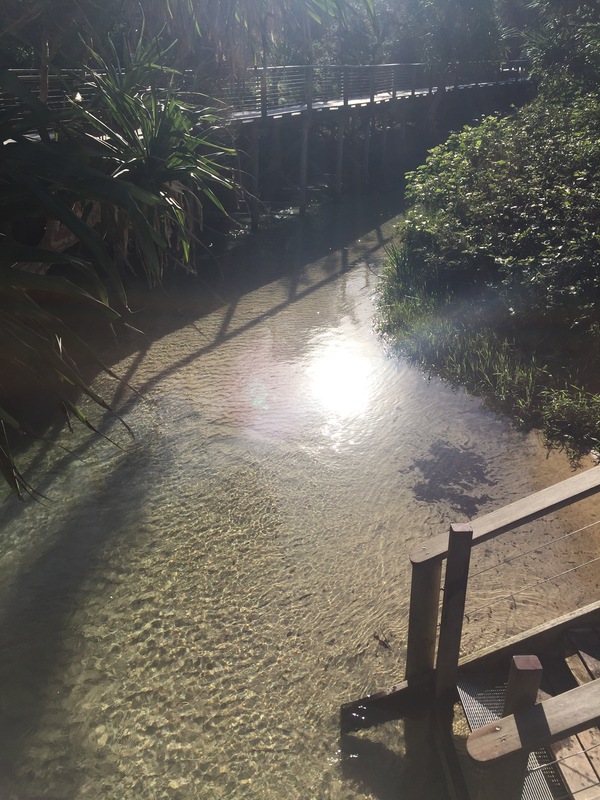 We ended our first day on the island with a trip to Eli Creek, a waterway that pumps fresh water straight into the sea beyond. The photos of this looked so cool – people wading through the creek with vines and trees all around, apparently at one with wilderness. Unfortunately as often happens when something is ‘bigged up’, what we actually saw was a load of backpackers trying desperately to ‘float’ down a two inch high flow of water for all of a minute – some had even blown up rubber rings in anticipation. It was hilarious in many ways and tragic in others. Myself and Matt quickly retreated back to the beach for a sunbathe and left the paddling pool revellers to their fun. 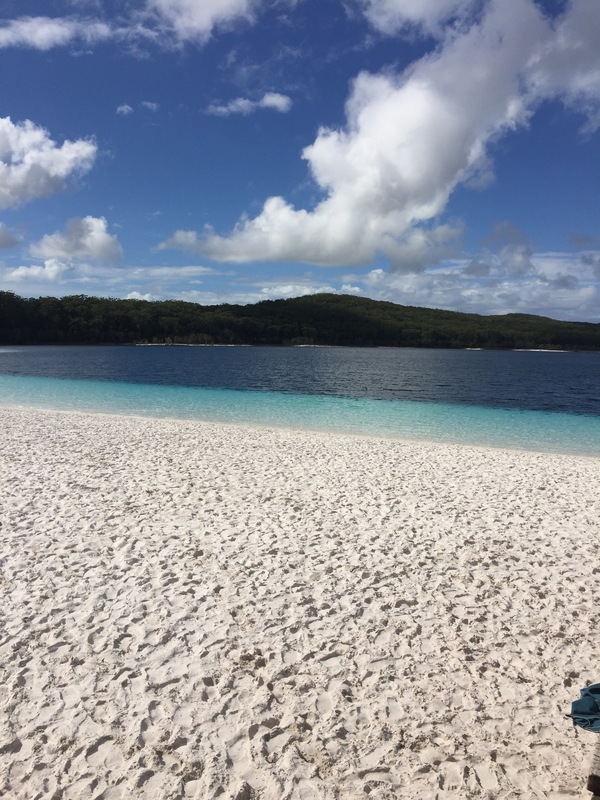 Our second day was reserved for Lake Mackenzie, the most anticipated natural wonder that Fraser Island has to offer. A huge fresh water lake with water so blue and sand so white it genuinely hurts your eyes. While a dominantly cloudy day, we were treated to around an hour of sunshine down on the lakeside after an early lunch and it was bliss (well apart from the drones that kept buzzing over the top of us every five seconds – I wish I could stamp on every single one of them). I have never seen a fresh water lake like it and I’m not sure I will ever again! From Lake Mackenzie we departed the island (after finally seeing a dingo just as we boarded the ferry!) 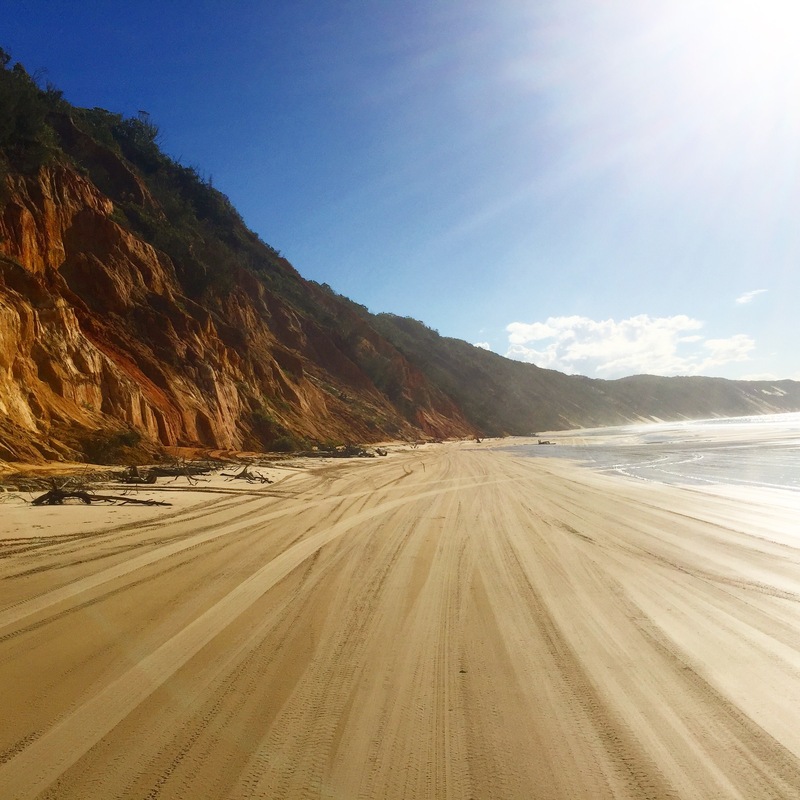 to head back to Rainbow Beach for a second time, however on this occasion we drove down the actual beach to see the beautiful coloured sand cliffs that tower above the coastline. We also did a walk up to a lighthouse, which had stunning views of the area – the type of view you could sit and watch all day. 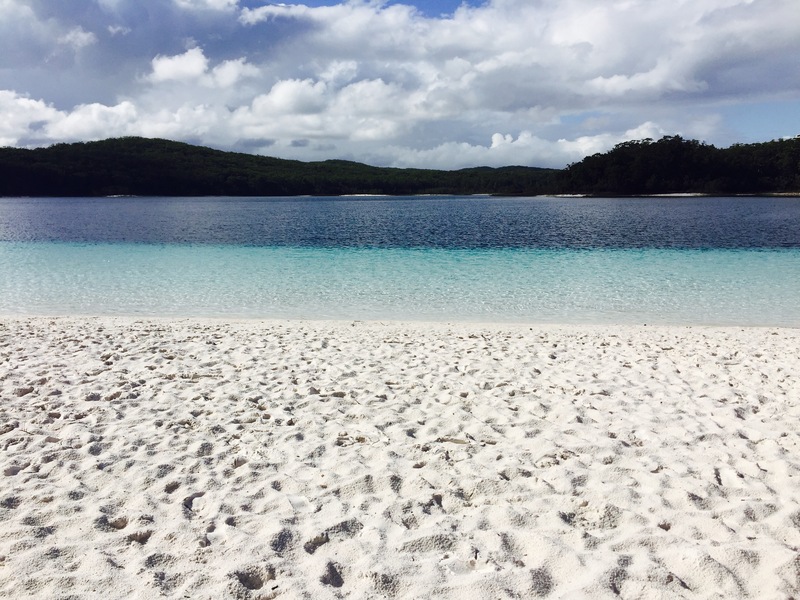 Fraser Island is a delightful natural wonder, one which needs to be conserved and protected for future generations. When you see it for yourself you finally understand what all the fuss is about! My only hope is that at some point the amount of tours and 4×4 trucks allowed on the island are reduced, so that people around the world can continue to enjoy this slice of unbelievable habitat for many years. 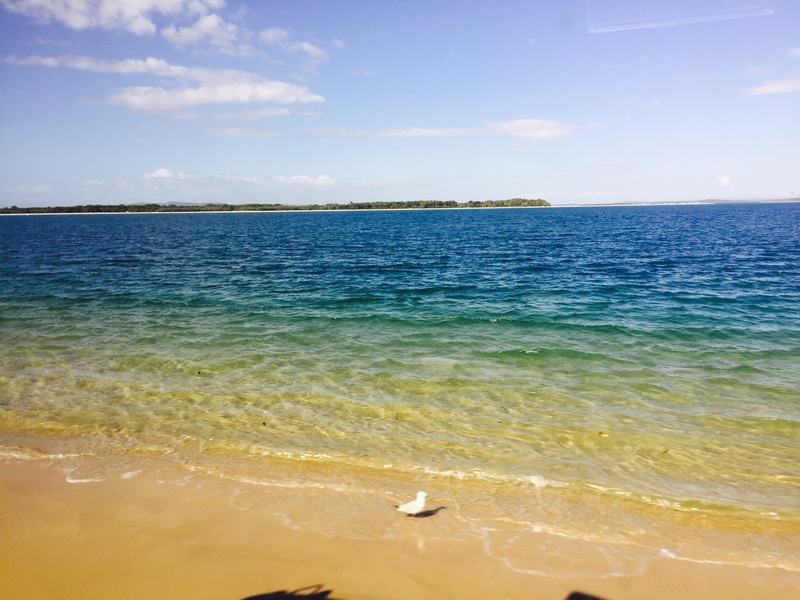 The Fraser Coast, Australia: Rainbow Beach & Hervey Bay. Thanks for this! I’ve been looking for a good tour to take to Fraser soon.